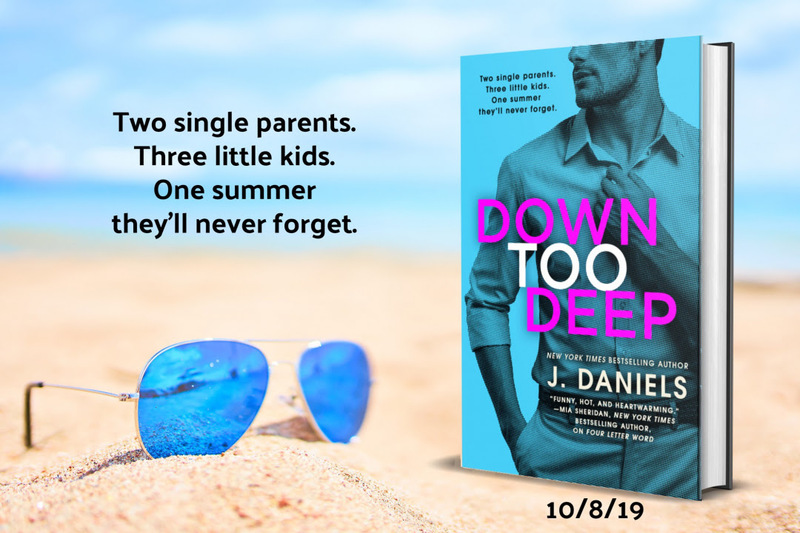 I am so excited to share with the cover for DOWN TOO DEEP by J. DANIELS! I’ve only read the first book in this series, but I enjoyed it overall. I guess I need to get to work on reading more of her books! I love this series. Book 3 was my favorite, but I have a feeling this one will beat that one. I also loved her Alabama Summers series. I really want to try this author this year. I just need to DO IT and stop talking about it. I’m a sucker for single parent romances. Adding this to my list! You’re in for some fun! I highly recommend starting with the Four Letters or Where I Belong with her. Both series are so good!